In the past two years, businesses’ desire to understand and connect with the mobile user has spread like a contagion, infecting nearly every vertical market with equal virulence. Are there unique differences between engaging for technical support vs. engaging along the path to purchase during a shopping experience. Does engagement, simply by the nature of occurring while mobile, alter someones expectation of what makes an engagement successful or satisfactory? Are consumers expectations heightened simply because of the device in their hands? 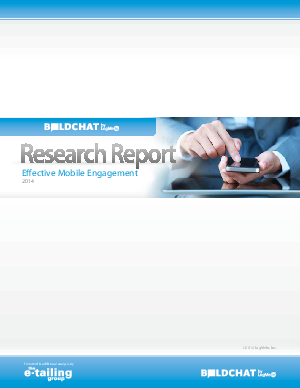 Download this report now to find out more about mobile engagement and to take a deep dive into each data-based finding.